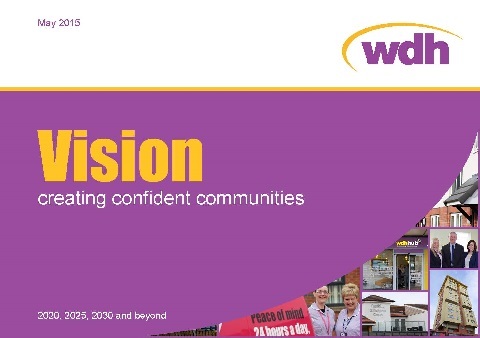 We are extremely proud to introduce this year's Vision update which highlights how we intend to reach our latest milestone – becoming an enterprise delivering social impacts by 2020.
meeting the wellbeing needs of our tenants. 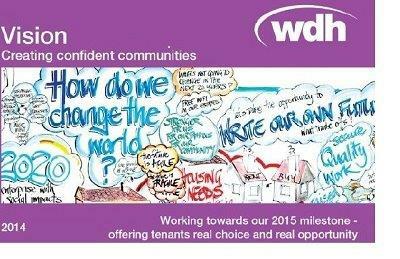 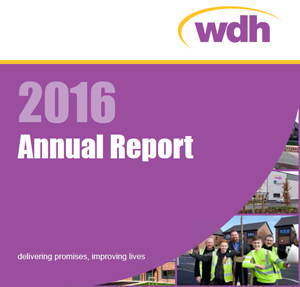 As well as taking a forward look, highlighting some of the key projects we’re currently working on - such as introducing free Wi-Fi across the district, launching a WDH app, and supporting tenants impacted by welfare reforms - the Vision also reflects on our achievements over the past year. 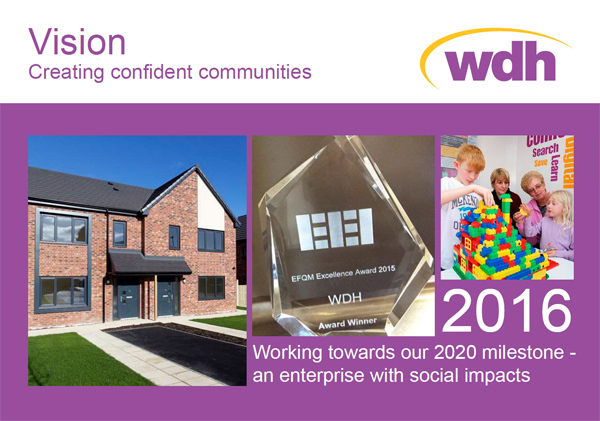 Successes include the continued growth of Care Link, selling over £2.6 million worth of housing through our Shared Ownership scheme and the resounding success of Cash Wise, an initiative that has helped over 1,800 people better manage their finances.